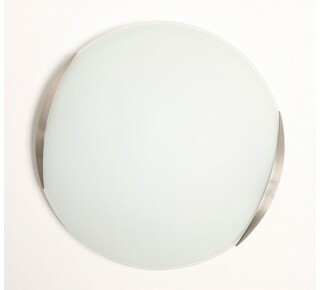 Opal white acid etch glass button. Available in 400mm diameter (2 x 13w dimmable LED, Halogen 200w max or 40w TR5), 300mm diameter (17.5w dimmable LED, Halogen 150w max or 22w TR5) and 250mm diameter (100w max). 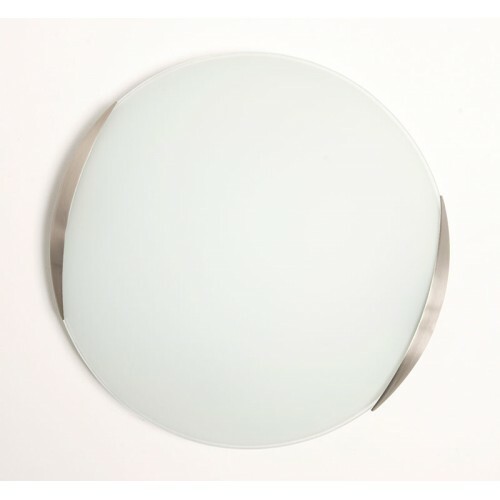 Uses J118 halogen (includes lamp with PFR reflector) or TR5 circline fluorescent (lamp not included).